Waterfiltercrock.com was created to share our passion for hand crafted stoneware. Our mission is to support American craftsmanship, with locally sourced industry where possible. In addition, we strive to provide a viable alternative to bottled water, which is a major source of pollution. The website is centered around the Smyth/Cid Water Filtration System, which is as much a work of art as it is an important kitchen essential. Our stoneware water bottles and water pitchers are a natural accessory to the water filtration system, and are available in the same glazing styles. 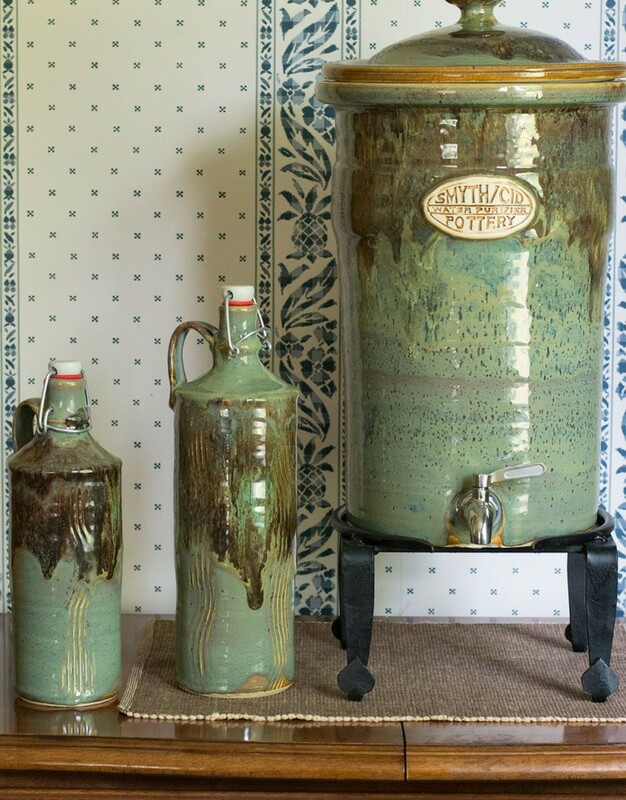 All of our stoneware is handcrafted in Upstate New York by Smyth/Cid pottery. We are pioneers in the water filtration industry, offering a unique example of functional water filtration merged with artistic craftsmanship. We are also the first water filtration company to accept Bitcoin! Our blog is a resource on water quality issues. We shed light on common questions regarding drinking water and water as a natural resource.